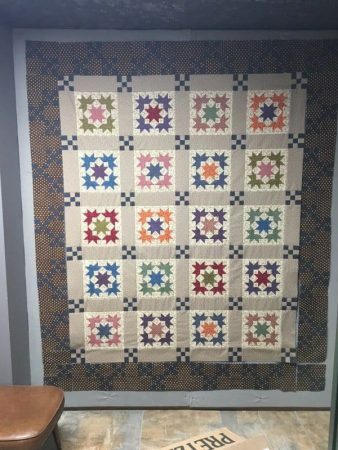 More Pattern Inspiration! 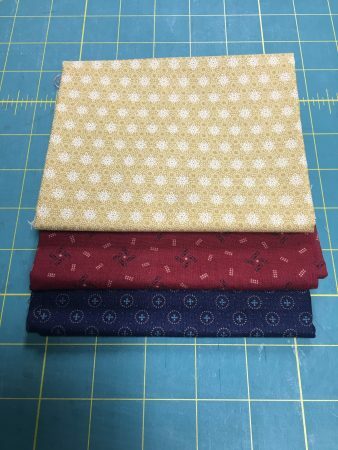 New Pattern Coming Soon! 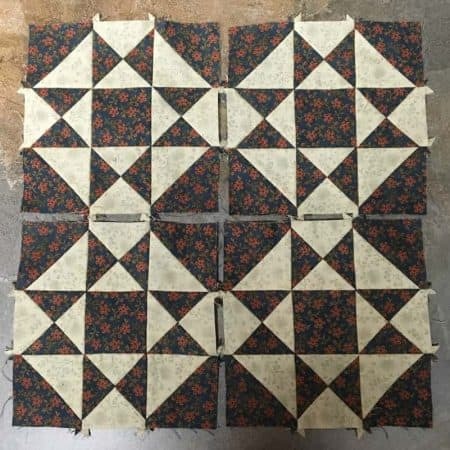 In the pattern are instructions for the long table runner and for the square table topper. 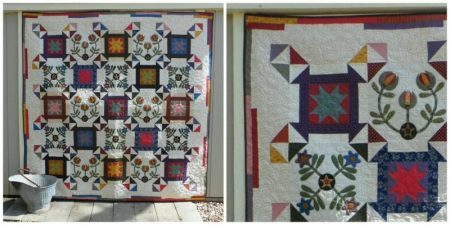 Both are embellished with some pretty floral applique that you can do by hand or machine. 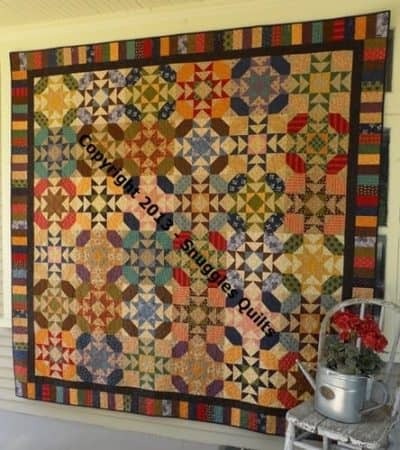 This pattern was inspired by the spool block, versions of which have been around since the 19th century. 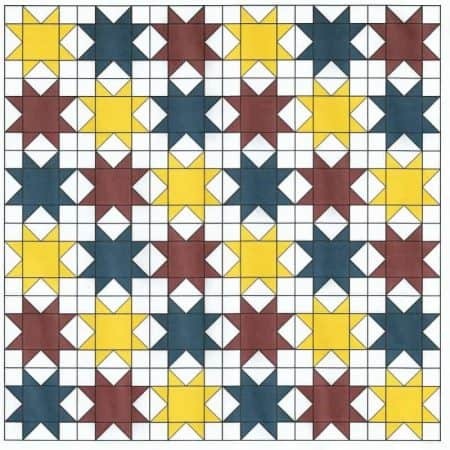 Quilt blocks were often designed and named for ordinary household items. 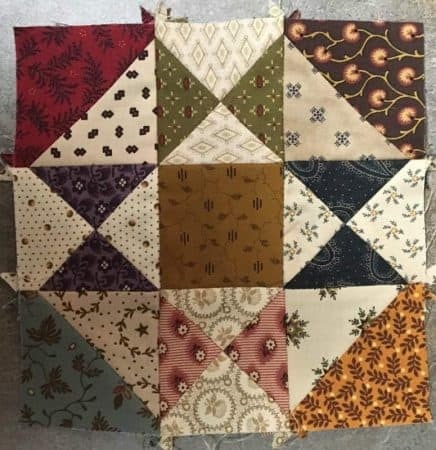 I image the women who designed and named this block based it on the wooden spools that held their thread. 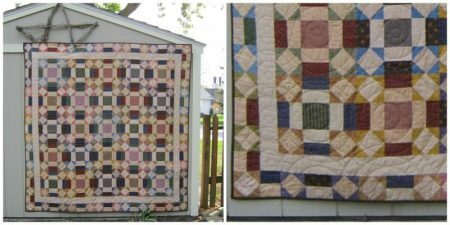 I loved the scrappy-ness of this old quilt. 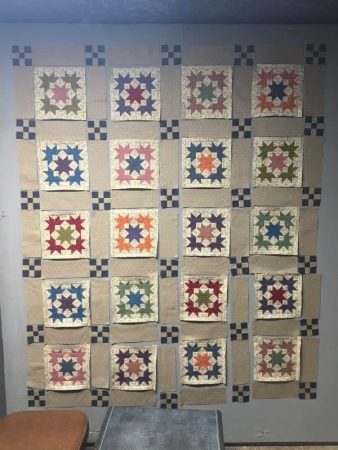 The different color spools and different color backgrounds inspired me to make my runner and topper scrappy in my pattern. 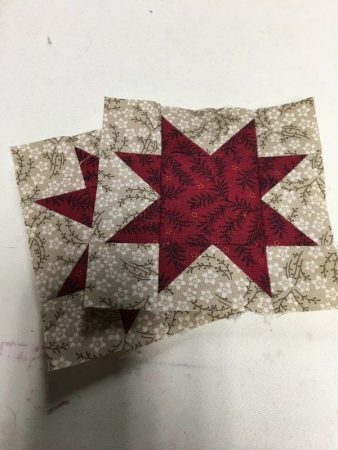 Look for this new pattern at the end of the month, hopefully! It’s being written and tested as we speak. 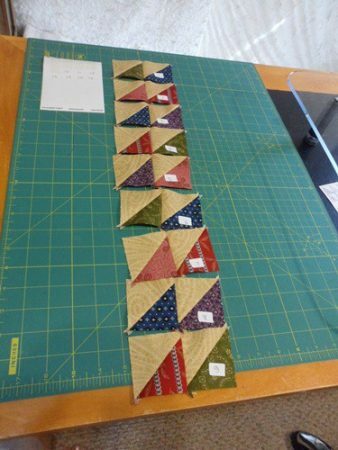 Have you ever wondered how one of my quilts begin? 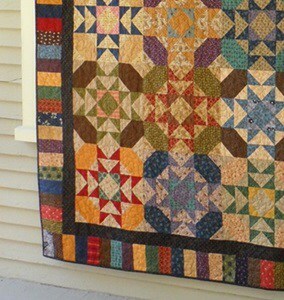 First, of course, I get inspired by a vintage quilt like above. 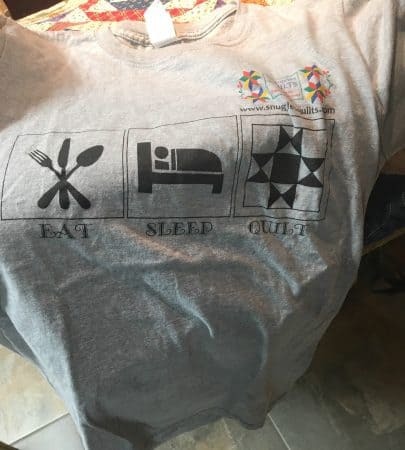 Then the design process starts on my computer. 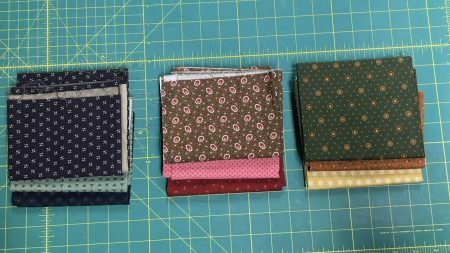 Once I have come up with the design, I figure fabric needed and what has to be cut. 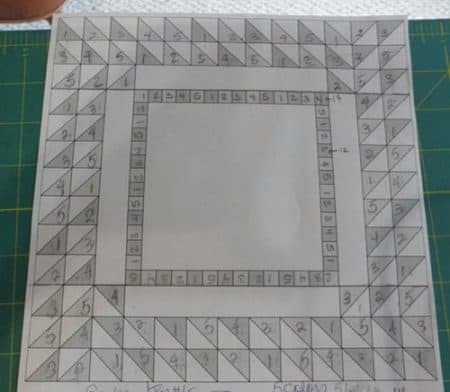 I write the pattern as I go. 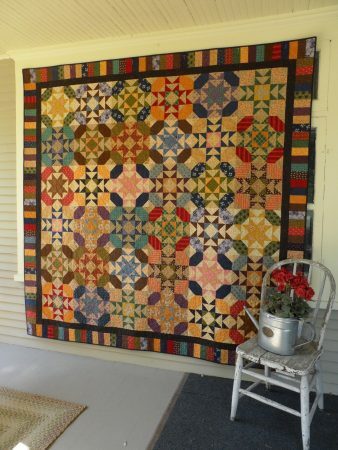 Below is this quilt in pieces! 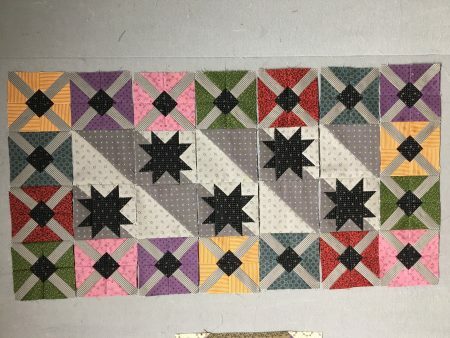 Next, add the outer border of the block to make the unique design. 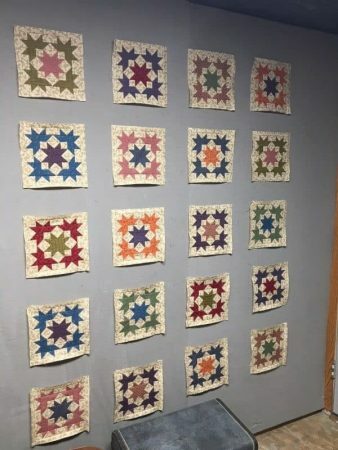 So after making all the blocks, it’s time to lay them out on a design wall or large floor space to get a distribution of color pleasing to you. 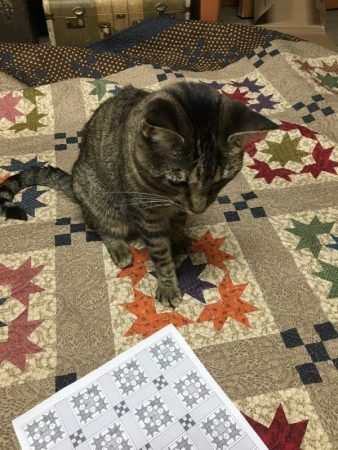 Finally, I am trying to proof the pattern I’ve written ….. with a bit of help from Addie! She’s always looking for a soft spot to land when she enters my studio! 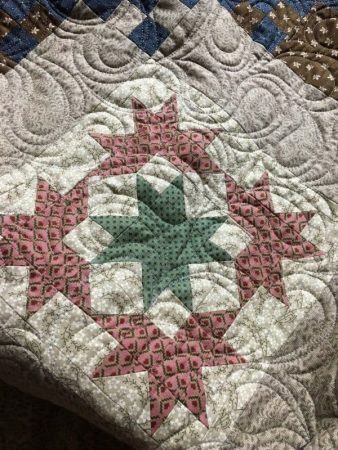 Here is a close-up of the quilted block to show you detail and the beautiful quilting my quilter did. 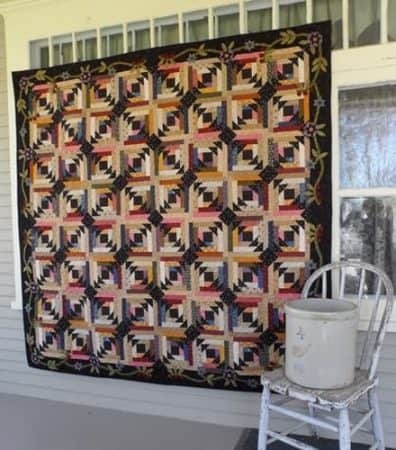 This quilt was quilted by Annette Ashbach of The Quiltmaker’s Nest. 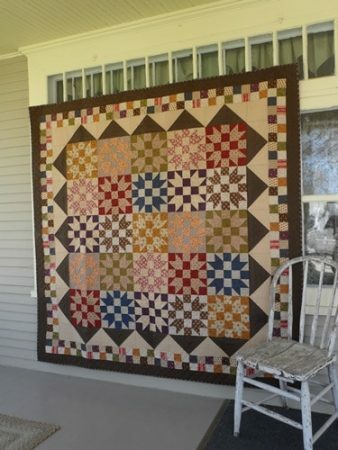 So, here is the completed quilt, Homestead Trail! 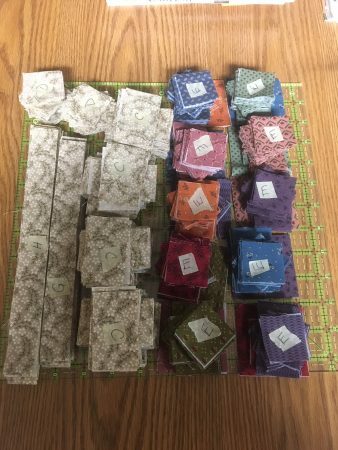 In other news ….. 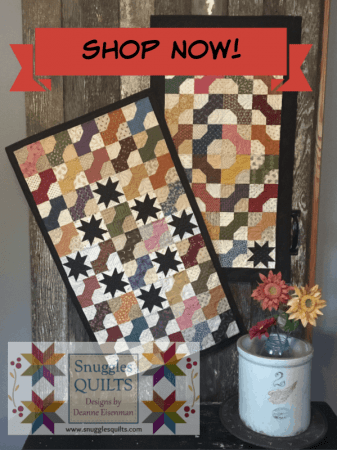 I have a new pattern in the Nov/Dec issue of Fons & Porter’s Love of Quilting! 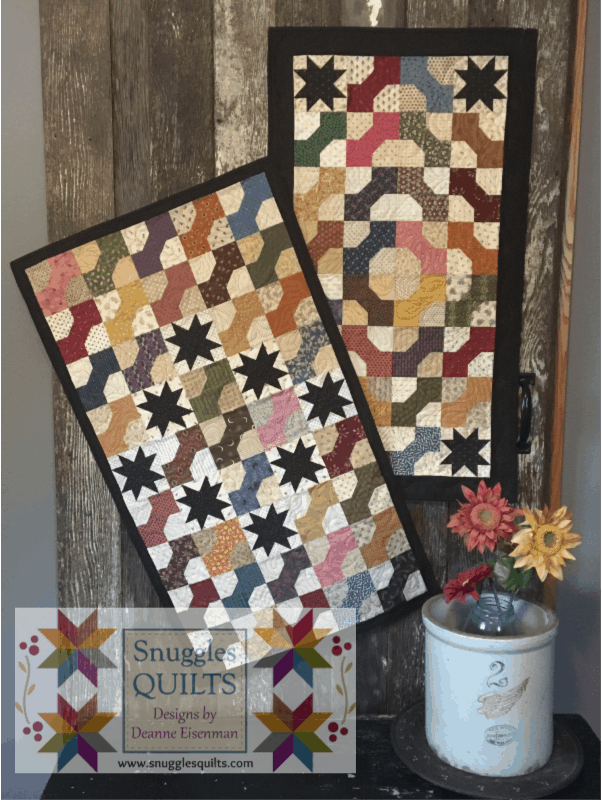 Each week on Wednesday, I will be featuring one of my new patterns here on the blog. 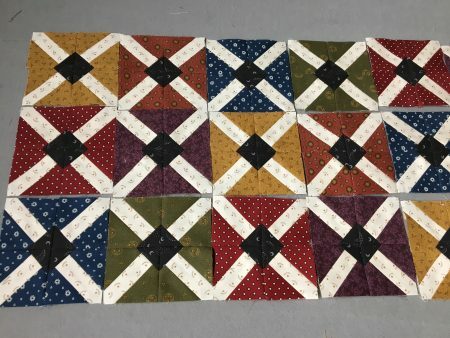 I want to share my process in making a quilt design and I will also try to share my inspiration. I hope you find this interesting and inspiring yourself! 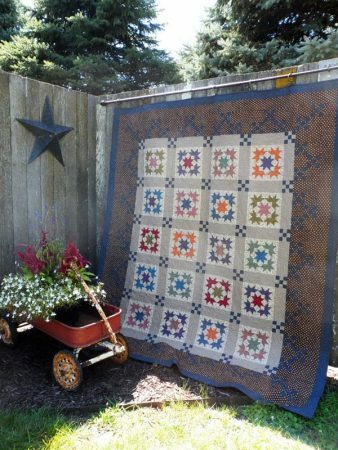 Most of the time, I am inspired by antique quilts or vintage blocks. 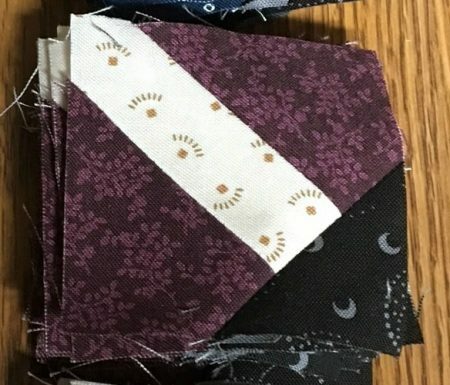 This week’s pattern is one of them. 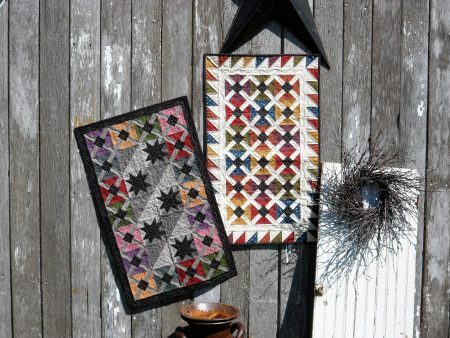 This week’s pattern is Scrap Basket Duo. 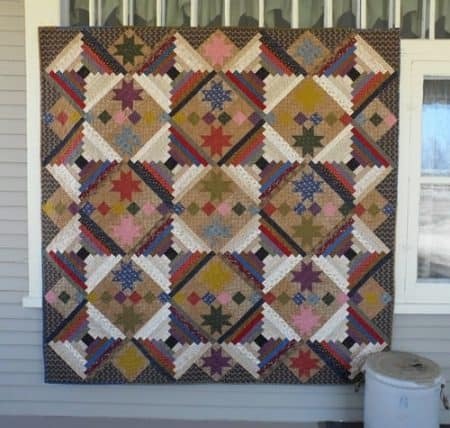 The quilt that this block is based on was an album quilt made in the 1840’s in New York state. 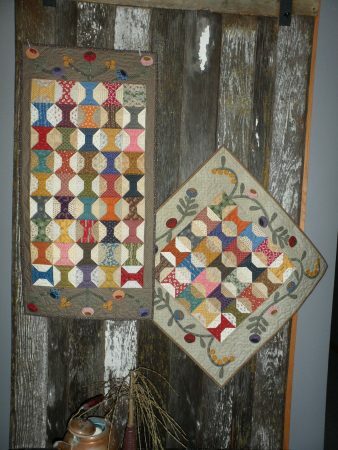 These quilts were usually presented to someone who was leaving a community. 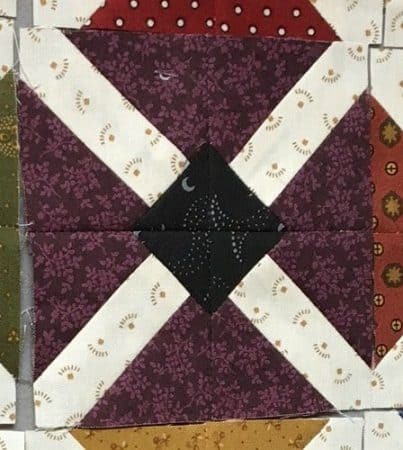 Friends and family of the person who received the quilt would write in the “cross” part of the block. 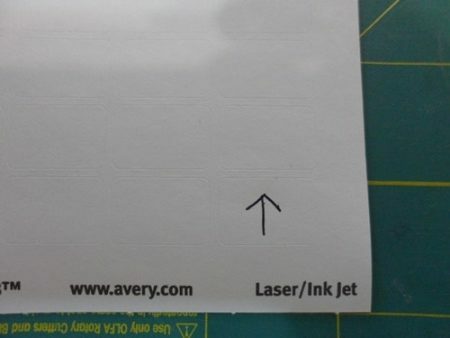 The signer would sign their name with the date and sometimes add a nice sentiment as a message to the receiver. 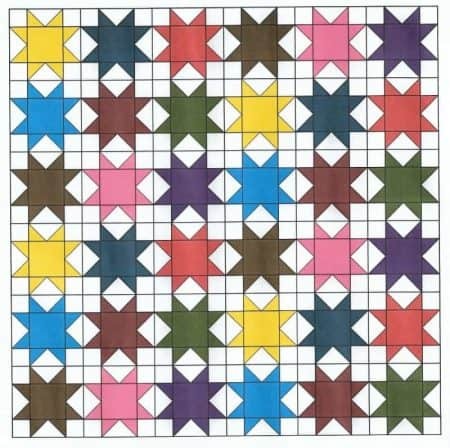 This style of block is only one of the many types of blocks used in album or “friendship” quilts. 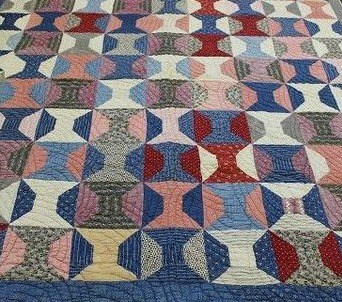 These quilts were very popular in the 19th century when many people were leaving family and friends to move west. 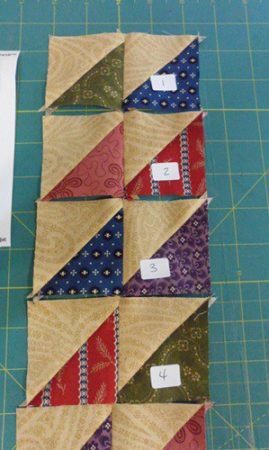 Of course, I do not make my Album Cross block the traditional way, with set in seams ( or “y” seams). 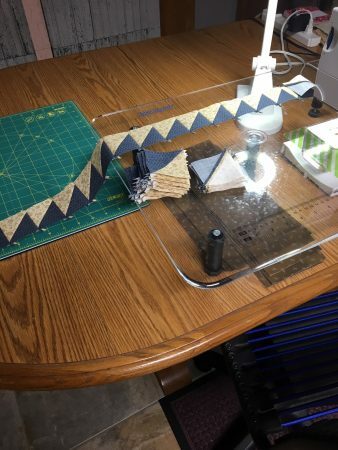 I cheated 🙂 and created this unit below. 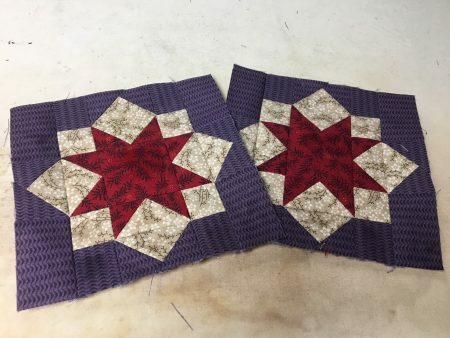 And when you make 4 and stitch them together, you get the look of the vintage Album Cross without the stress! 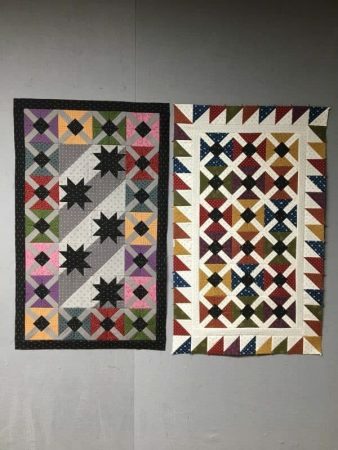 Here are the blocks laid out and also the two different table runners I made using those blocks. 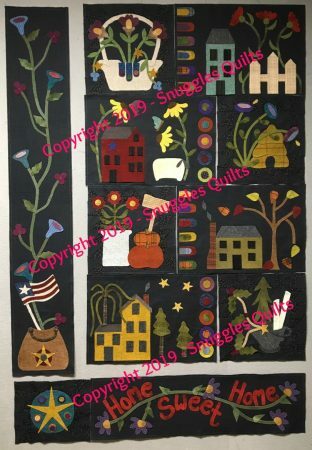 So that’s an example of the journey I take in creating a pattern for Snuggles Quilts. 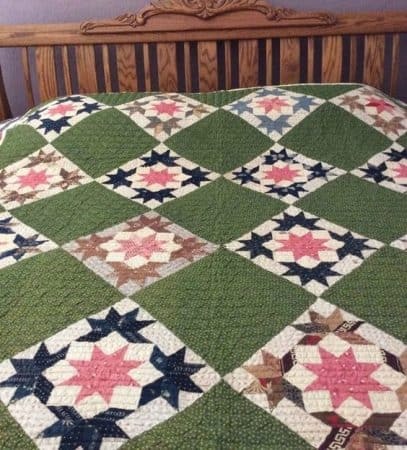 Interested in quilt history? 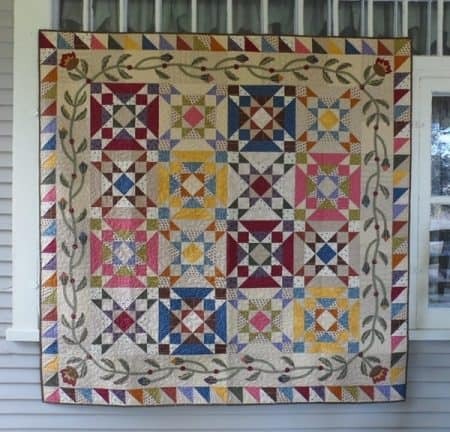 Barbara Brackman is a quilt historian who has written many books about quilts from the 19th and 20th centuries. A quick google search will bring up a long list of her fantastic books. 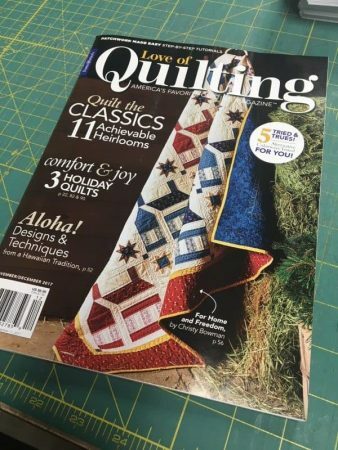 I highly recommend them if you love quilt history! 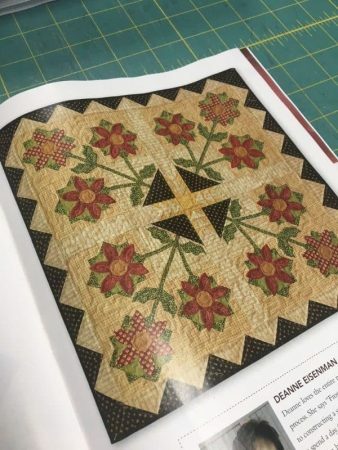 One of my favorite books of hers is Encyclopedia of Pieced Quilt Patterns. Here’s a photo of my copy. 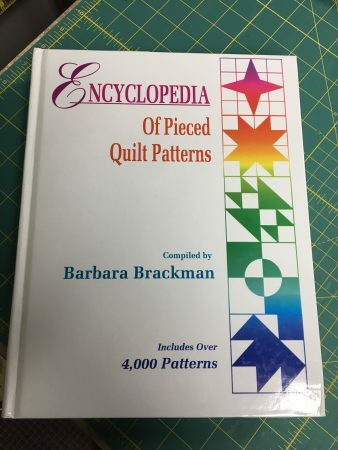 I have fun looking through this book and seeing all the different names for blocks. 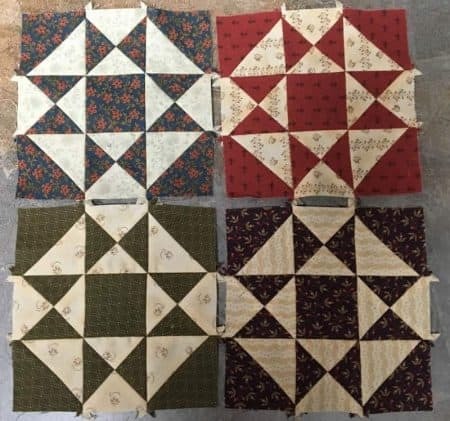 Some blocks have been known by many different names throughout quilt making history. 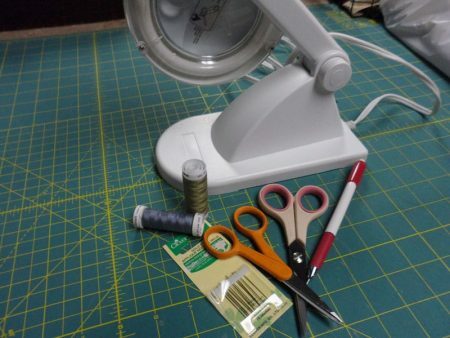 So go forth and stitch!